Fuel Your Ride — Get FASS’ed! Built from the FASS HD Series blueprint, the Titanium Series utilizes all the known FASS System features, just in a compact package. TheTitanium Series 150 GPH Fuel Air Separation System allows for better clearance and less visibility without sacrificing any of the power and grit of the HD Series — the samemotor & Gerotor specific design are still used. Engineered with the pickup truck in mind, this lift kit supports diesel engines with moderate to extreme horsepower needs. Just like its big brother it removes all types of harmful and destructive fuel contaminants including water & emulsified water, air & vapor, and general debris. The Titanium SeriesFASS System increases your horsepower & fuel economy while it lowers your maintenance costs & emissions. 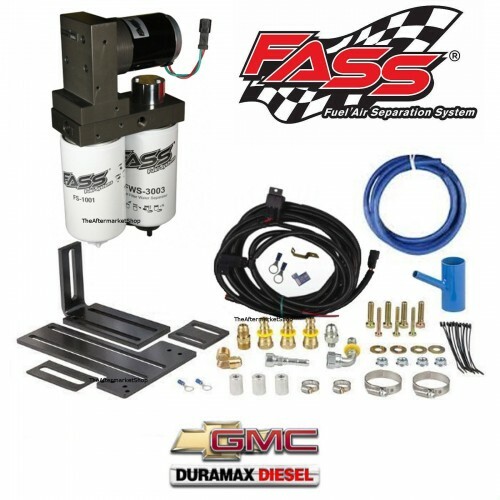 So whether you are looking to increase the life & reliability of your truck — or to fuel your Duramax upgrades… think FASS — Titanium Series FASS! Considering typical No. 2 Diesel Fuel consists of about 10% air, these problems are nothing to sneeze at or to be ignored. In reality, whencompounded by dirt and other debris that can be found in a diesel fuel tank, you could be driving your truck towards a diesel engine disaster. 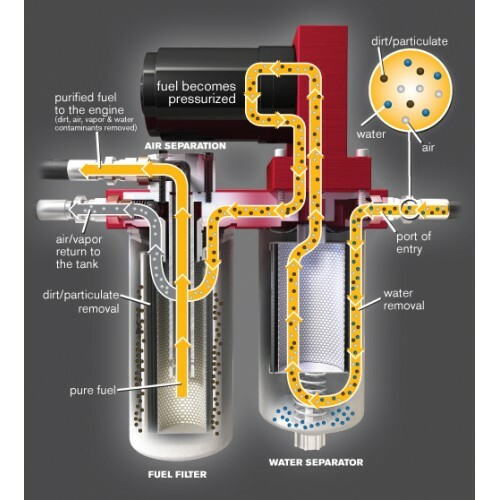 FASS Systems address these issues head on by meticulously filtering out such problematic air & vapor — along with these other contaminants in the fuel — before it’s sent to your truck’s injectors. Knowing about these latent dangers lurking in the fuel at the diesel pump,can you really go on feeding it untreated to your truck? We at Parley’s strongly advise against it… and believe a FASS System is the way to go. 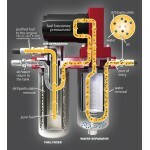 FASS is in the business of building extremely High-Quality fuel products. All of their efforts are concentrated in this one area. 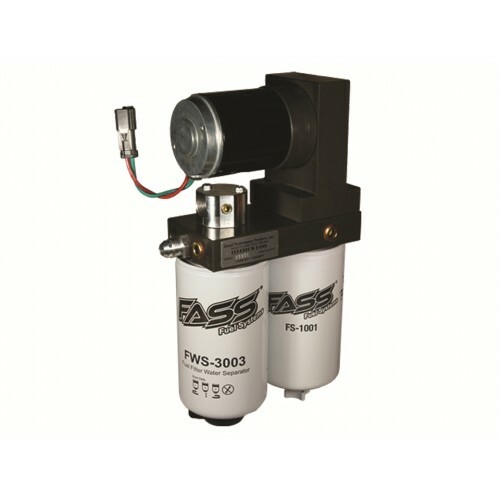 FASS takes great pride in this specialization and implements rigorous testing procedures for each FASS product so you can share this same pride — that you are running with the Highest-Quality fuel system in the world.Eliminate the Contaminants & Save your Injectors… Think FASS! Suction Line Notes: Due to the increase of fuel flow you may encounter a problem with the stock fuel module. 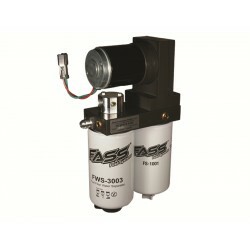 Adding an optional FASS suction tube kit (STK-1002) will solve that issue.